The Louisiana High School Alumni and Friends Association was organized to support the students and staff of LHS financially and morally. The Association was designated as a 501c3 organization in June 2008. This designation qualifies us to receive tax-deductible bequests, devises, transfers or gifts from donors and supporters. The 2018 LHS Alumni Newsletter has been published and can be download from the BUSINESS page on this website. After receiving many requests for our original cookbook, the Louisiana Alumni & Friends Association has voted to do a re-print! Books will be available in Louisiana at the State Farm Insurance office, Pike County Memorial Hospital Gift Shop, and Louisiana Public Library at the same low price of only $15.00. They can also be ordered at The LHS Alumni & Friends Association at PO Box 404, Louisiana, MO 63353; The LHS Alumni website, ORDER FORM﻿, or by phone at 573-324-3470. Please furnish your name, complete mailing address and phone number. There will be a small fee for all books mailed to cover postage. If you missed getting this original first-ever Alumni Cookbook, now's your chance. A brief history of the school district, over 300 wonderful recipes, and a special section on "Vintage Yesteryear Recipes from La Mo." There's also a Kids' Kitchen Crafts section and various quips and quotes throughout the book. Don't wait.....get your Louisiana Alumni & Friends Association Cookbook NOW! You'll be glad you did! And, remember, these great books make wonderful gifts! The Louisiana High School Alumni annual all-school reunion will be Saturday, October 19, 2019 during Colorfest weekend. Be sure to save the date. There will be a social hour/mixer at the American Legion Hall located at 420 Kelly Lane. Time TBD. The dinner will at the American Legion Hall (for those with reservations only). During the dinner we will recognize the special reunion classes whose graduation year ends in a "4" or "9". After dinner there will be a dance starting at 9:00 pm. Watch for the 2019 Alumni Newsletter, being emailed and mailed in mid August, for more details. 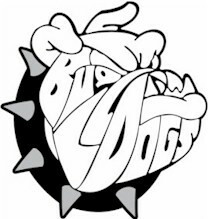 See the SCHOOL NEWS page for more information about the Louisiana Bulldogs Athletic Hall of Fame. extended until July 31, 2018. A Scholarship Committee was formed to accept-tax deductible donations and contributions that will be used to fund scholarships for LHS graduating Seniors. Donations may be made as a memorial as well. The committee will see that a note of recognition is sent to the family of the deceased. Contributions can be mailed to the Association's Post Office Box (see below) or contribution envelopes have been made available at several area funeral homes. Or for convenience click on USE PAYPAL at left! The committee has developed a scholarship application that will be provided to seniors each spring. The scholarships are need-based and will be awarded upon proof of enrollment. The amount of the awards will be based on the fund balance each year. In October, 2014 at the Association’s annual meeting, members voted on a few changes to our by-laws. One approved change makes all who attended Louisiana schools automatic members of the Louisiana Alumni & Friends Association. The same holds true for those who have served the district as administrators, teachers, or support staff in Louisiana, even if for only one year. See Page 3 of the 2018 LHS Alumni Newsletter for more details. The Louisiana High School Alumni and Friends Association maintains a Alumni Contacts Database for all classes from 1930 to present and staff. Currently we do not have any contact information for over 1,600 alumni. Fellow alumni are our best resource for finding these "lost" classmates. If you received the 2018 Alumni Newsletter in the mail or email, we have contact information for you, but we may not have contact information for your parents, children, classmates, or friends.